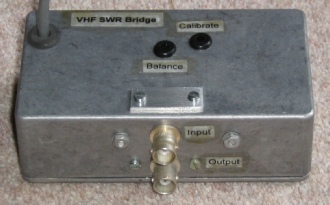 I have used both the HF and VHF SWR Bridges in my dual Z-Match covering 1.8 - 146MHz but in both cases I repackaged the PC boards into new enclosures to reduce the overall space requirements. The Z-Match can be seen here. 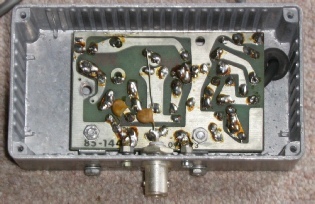 This model was designed to cover 50 - 150MHz with a final accuracy of +/-10% which this particular unit just met. The new enclosure is a die cast box of approximately half the volume of the original enclosure. The SO-239 coaxial sockets were replaced with BNC sockets and all resistors were checked for value and any out of tolerance were changed. The Z-Match has a band switch on VHF which enables internal band specific preset calibration controls to be added. The small removable plate gives access to solder the second BNC connector that is hidden behind the PC board.